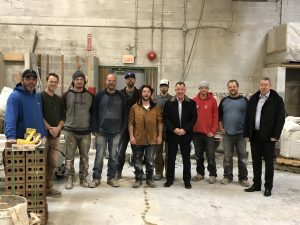 Trowel Trades Training Association – Training and supporting concrete, masonry, stone and tile apprentices and journey persons in B.C. The cement masons apprenticeship training program has been harmonized with other provinces. Apprentice Ideas for the Training Blog? Any ideas for what you would like to see on the Trowel Trade Training Association Website and blog? Videos, schedules, study information? what do you need to see? Email Geoff Higginson or call 1-844-480-2463. Level 1/2 Technical Training starting September 10th at the Training Center. Launching our new blog and information page, stored on secure media in British Columbia, and dedicated to promoting, improving and supporting the training and employment of BC workers in the Trowel trade Crafts of Bricklaying, Concrete Finishing and Tilesetting.